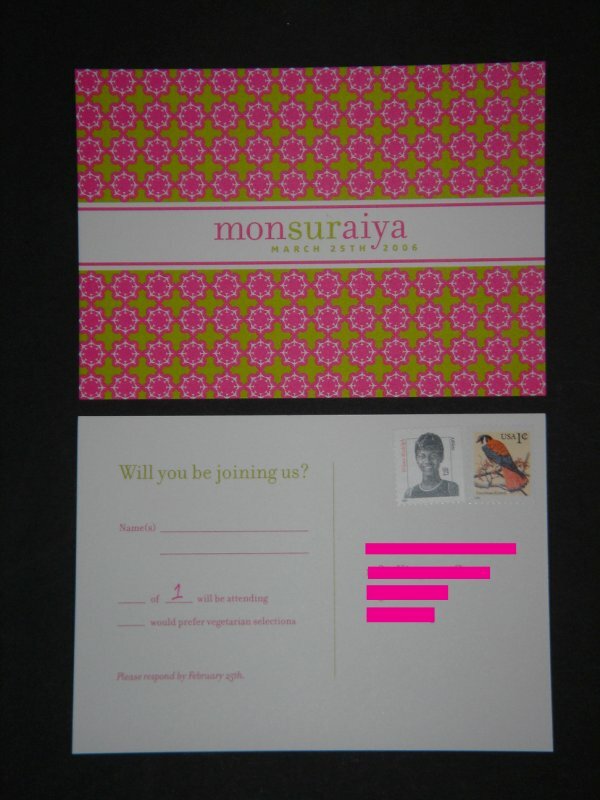 To save on postage and to be a little different, I've always liked the idea of postcards for RSVPs. 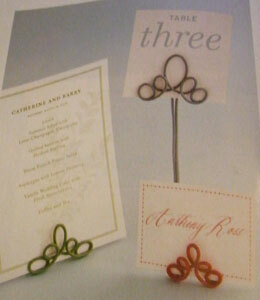 Taken off that Weddingbee site, I found this example. 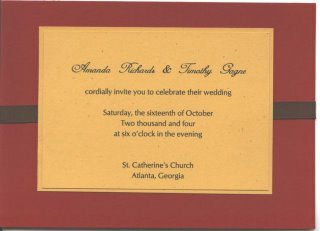 I especially like the wording: "__ of # will be attending." In the same vein, I think I've also seen something like "Two seats have been reserved for you." And then the usual lines of will/not attend. I know that we are using the pocketfold invites but I've been struggling with how to close them. I like this idea of the ribbon going across and under the seal on one end and then ending inside the pocket (you also hide the gluing of the ends). 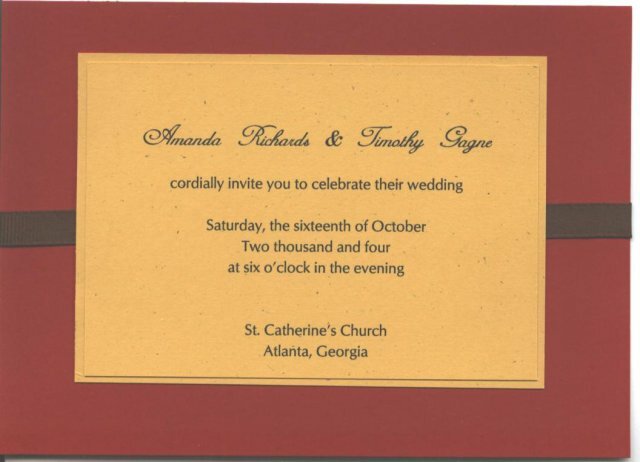 I think it's very similar to the red with cream-colored cardstock that I had imagined and it just may be close enough to do the switch to get both the fall theme and the Chinese red across. I like this idea for placecards but we probably won't use them b/c we've got those leaves we gathered (which still need to be waxed or polished). 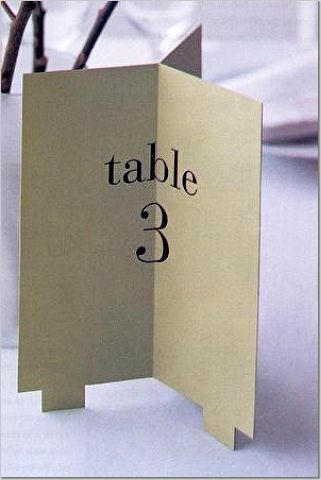 This is an interesting idea for table numbers. Though I've also got the idea from Martha with the radio wire (at right). I think the red wire makes it almost look Asian-ish, very much like those closures on the Chinese dress. Maybe I'll use one idea for the menu and the other for the numbers. I am hoping to get someone to do the calligraphy for the numbers in Chinese and then on another side will be the English.